Do your homework before deciding what to sell online! « Happy Valentine’s Day February 14, 2012!! I LOVE Coach Handbags. They are among my favorites in designer handbags. I have a few in my collection and I’m always on the lookout for another style that I like. Since I love Coach Handbags so much, wouldn’t it make sense that I should sell them? But, before I set my heart on something to sell, I should look at all the factors involved. First, Coach doesn’t allow their handbags to be sold online by just anyone. 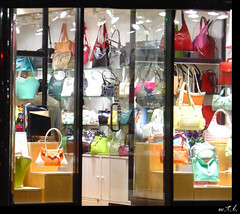 They restrict their sales to prevent counterfeit products. So they only prefer to work with stocking retailers, specialty stores and catalogs that can meet their criteria. Second, they are not looking to setup new wholesale relationships. They already have the stores they want to resell their products, and they aren’t looking to expand into new territories. How do we know this? It’s on their website in the company information section. Coach isn’t the only company like this. There are many other brands and designers that restrict sales and the product types don’t just stop with trying to purchase wholesale handbags. Electronics, baby items, clothing and more are restricted by many brands. Make sure to do your homework before you decide on what product to sell, because there is a big chance that you cannot sell that product! Check out their websites, look at their FAQ’s, policies and procedures to determine if the company will even work with you at all. We here at WorldwideBrands.com know and understand the difficulties that many online retailers face in locating products that they can sell. We only list in our Directories products that are available to online retailers and small based home business owners. We verify the legitimacy of these companies to protect our members from scams, middlemen and counterfeit products. We do our homework so our members don’t have to waste their time running in circles and just focus on what is important; selling products online. This entry was posted on Tuesday, March 6th, 2012 at 2:12 pm	and is filed under dropshipping, Online Business, wholesale tips. You can follow any responses to this entry through the RSS 2.0 feed. You can leave a response, or trackback from your own site. An impressive share, I just given this onto a colleague who was doing a bit evaluation on this. And he in truth bought me breakfast as a result of I discovered it for him.. smile. So let me reword that: Thnx for the deal with! But yeah Thnkx for spending the time to discuss this, I feel strongly about it and love studying more on this topic. If possible, as you develop into expertise, would you thoughts updating your weblog with extra details? It is extremely helpful for me. Big thumb up for this weblog post! You are spot on with this write-up, thanks for the information! i am glad to read this post! You are so right in this! I found out by trying to setup accounts with companies that would keep turning me down. I didn’t realize what the issue was until I finally got up the courage to call. Then they told me they only wanted to work with brick and mortar stores. I learned my lesson! this post has truly opened my eyes. i didn’t think about comapnies being picky and that they would just work with anyone with a business. thanks! I’m thoroughly enjoying your blog. This is great information! This is very true. I’ve failed on this before in the past, but I know better now. How much We would love to read some more stuff like this one Thanks ! 14 Responses to Do your homework before deciding what to sell online!